This was the scene last Saturday when I came out of the subway at Union Square. 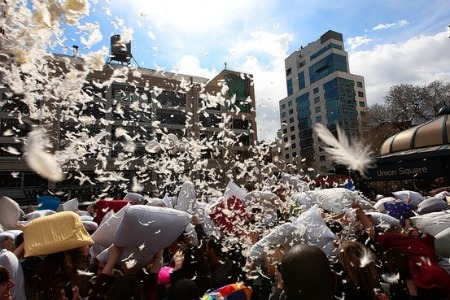 The aftermath of International Pillow Fight Day - feathers were still floating in the air hours later. I saw the massive crowd forming for this (weird) event earlier in the day and headed uptown only to be met by another swarm of people at Bloomingdale's Friends and Family Sale. Both scary. I love browsing The Well Appointed House for design inspiration and came across these Dransfield & Ross nautical themed accents. Perfect for the summer months! 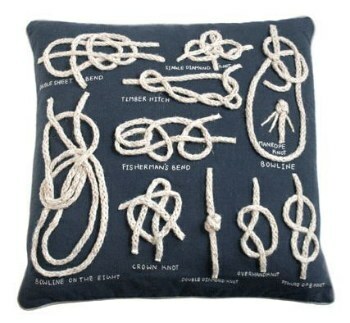 These pillows wouldn't be substantial for a fight, but would look great on the couch in my imaginary beach house. I love the last one! There's a Ralph Lauren astronomy-esque wallpaper I'm itching to cover our ceiling with and that pillow would be perfect to pair! I heard about the pillow fight, what fun! Ha ha! Loving the photo of all the pillow patterns! Why wasn't I at the pillow fight? 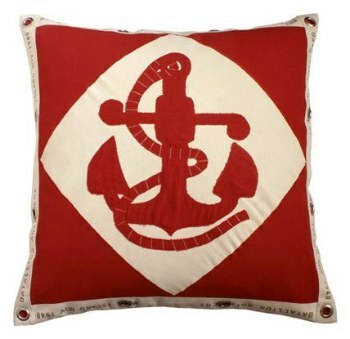 Love the nautical themed pillows! I always secretly look at things for my imaginary beach house too. It is a mild obsession! Great picks! Seriously, a pillow fight?! That's awesome! 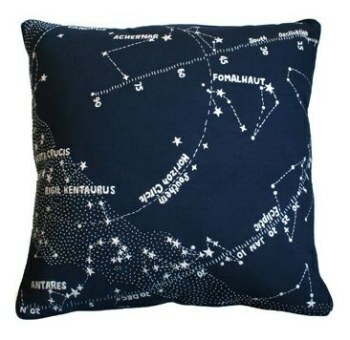 Love that star chart pillow!! Yay Huskies!! And loving that pillow fight. Gotta love NYC! Those pillows are so cute. Wow I don't think I have ever seen anything quite like all those feathers floating through the air. Just found your blog. Really like it. 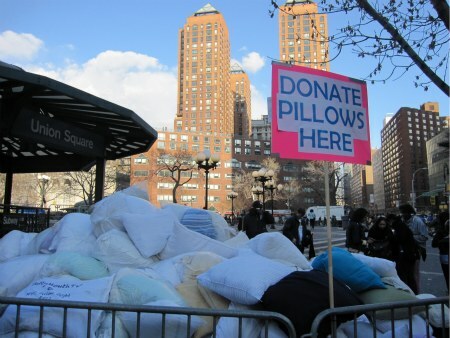 and how have I never been to the pillow fight in NYC?? HAVE TO GO! Oh man, that must have been amazing to see!